A toothbrush is a disposable item that should be replaced every 6 to 12 weeks. It is estimated that in North America alone over 1 billion plastic toothbrushes end up in landfills every year. Including the packaging this equates to more than 25,000 tonnes of plastic waste per year. That is the weight of more than 50 fully loaded Jumbo Jets. Plastic toothbrushes are made from a mix of plastic materials that combine elements of rubber and crude oil that take centuries to biodegrade. If you thought that that was already bad enough, the manufacturing process for these toothbrushes consist as well of dangerous plastic by-products that need to be disposed. However, several innovative manufacturers have come to grips with this problem and have brought solutions to the market that are recyclable and compostable; without any plastic. Most of them use bamboo wood as main material. 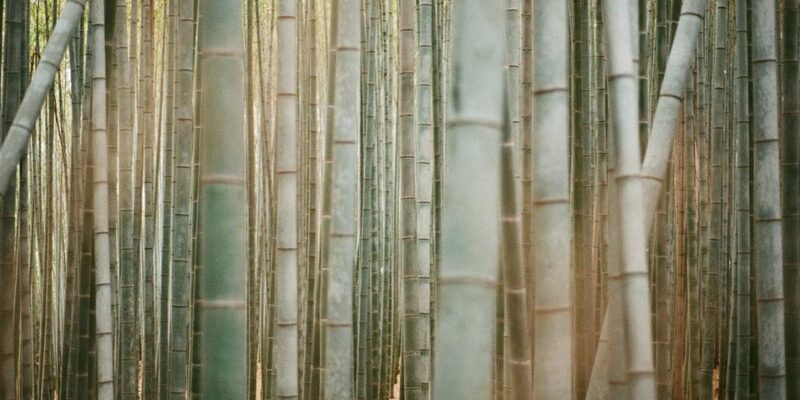 Bamboo is the fastest growing plant on our planet. Since the bamboo contains natural antibacterial agents, no fertilizers and pesticides need to be used during cultivation.Bamboo naturally repels water, is antibacterial and biodegrades within months after disposal, instead of centuries as plastic. They sell there bamboo toothbrushes in sets of 4 which last a year for one person. So you also save transportation energy and costs. The bamboo toothbrushes are safe, i.e. they will never splinter and are water resistant. They come in 100% recycled biodegradable packaging. The craft paper is not polluting the environment when you throw it away. Hello Boo Toothbrushes are made from 100% natural, eco-friendly and antimicrobial Moso bamboo and have soft nylon bristles. Moso bamboo is particularly Panda friendly as it is not a source of food for panda bears, as there is no leaf growth on the first 5 yards of the stem of the Moso bamboo. The Mother’s Vault toothbrushes use Beeswax coating to prevent splintering making this bamboo toothbrush smooth and long-lasting. The handles are slightly curved for a snug fit and better brush control. For the bristles they are using BPA-free nylon, while the bristles are neither too hard, nor too soft. They are well crafted to stay in place and not fall out. The wavy design hugs tooth surfaces and gums to remove plaque and bacteria from your teeth. Furthermore, the cardboard of the packaging is 100% biodegradable. The GoWoo Bamboo toothbrush also uses soft bristles made of BPA free nylon that is recyclable as well as light on the gums. The perfectly crafted and smooth Bamboo handles are completely biodegradable, and long lasting. Ideal for Sensitive Teeth & Gums. Check them out! You might even enjoy a cleaner oral situation while not burdening the environment with unnecessary plastic waste. How to get Free Baby product samples? How to find non toxic, chemical free baby clothes?